This darling and cosy furnished one bedroom apt in Warwick near the bus route and Belmont golf course could be your new home. Just bring your bags and settle in! 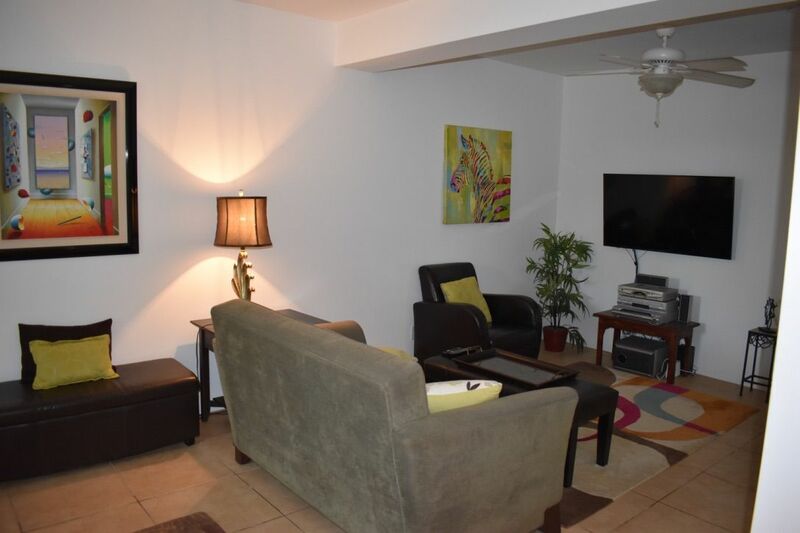 Enter from the covered car port to a delightful sunken living room with flat screen television and a kitchen with major appliance, good counter & cupboard space, washer & dryer and a full bath. A good size bedroom with a king bed, good natural light from double windows, and closet completes this unit. There is reverse ac units in the living room and bedroom, and the floors are tiled throughout.